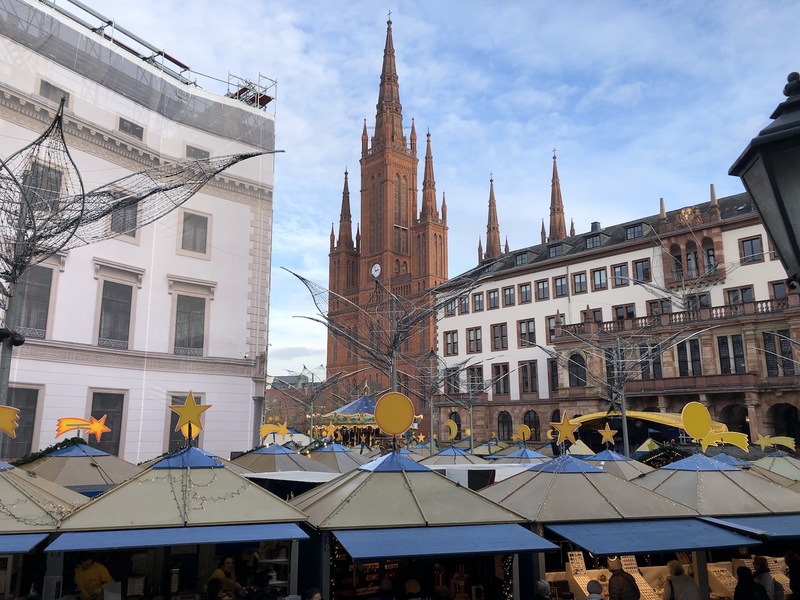 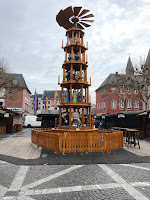 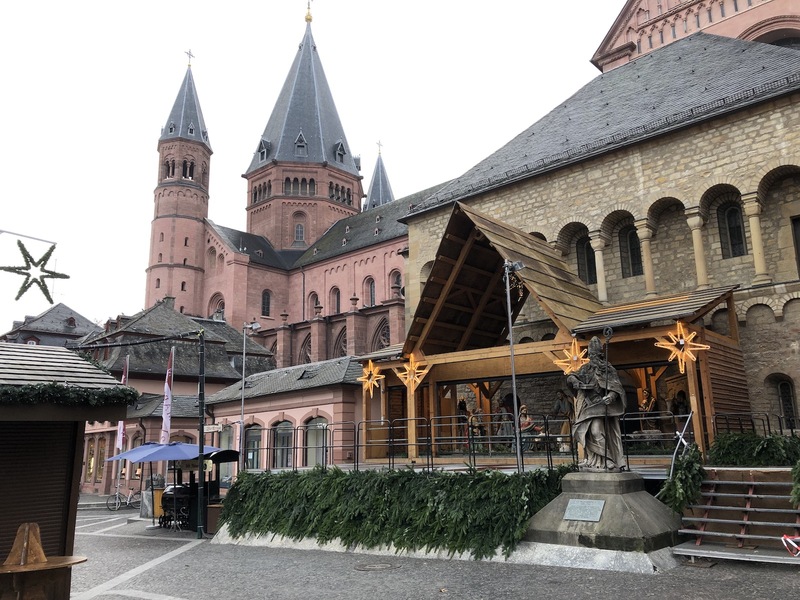 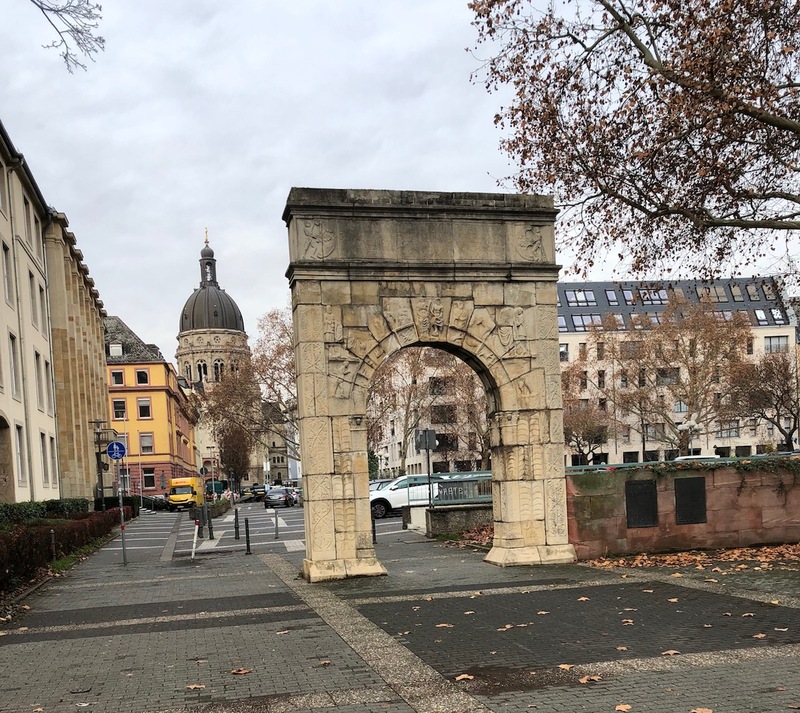 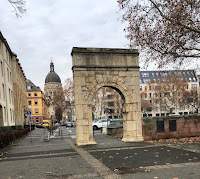 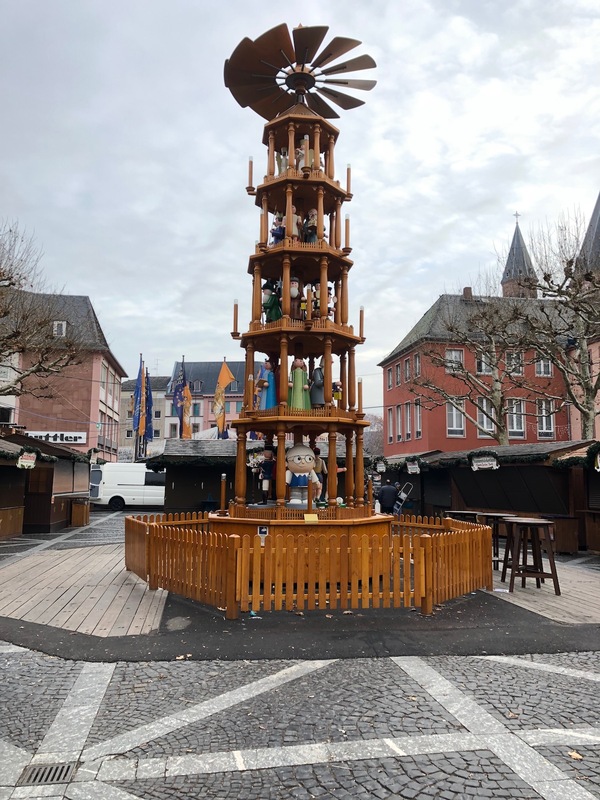 Doing some Christmas shopping, I managed to complete the circuit through the capitals of Wiesbaden and Mainz, inspecting the high streets and markets and seasonal decorations besides. 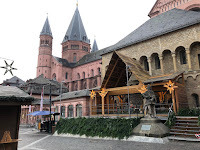 Conceding a bit of magic that one experiences at night with all the lights, it was nice to walk through the squares without so much of the crush from the crowd and take in the Nativity Scenes (Krippe) and Christmas carousels (Weihnachtspyramide), especially liking how the seat of the Second German Broadcaster (ZDF oder Zweites Deutsches Fernsehen) incorporated one its mascots, the Mainzelmännchen that signal station identification, into the decoration. 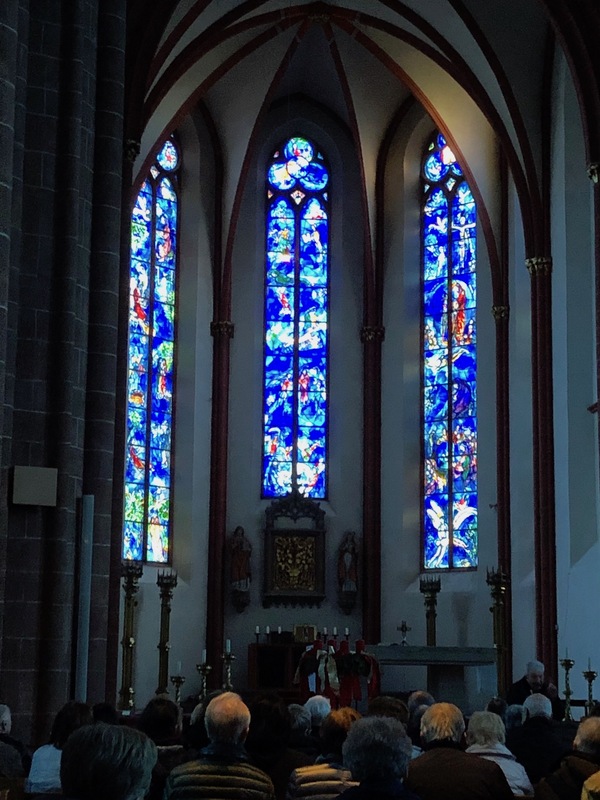 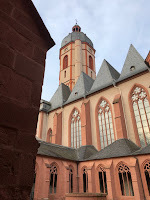 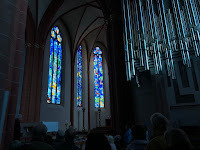 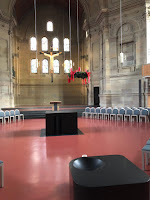 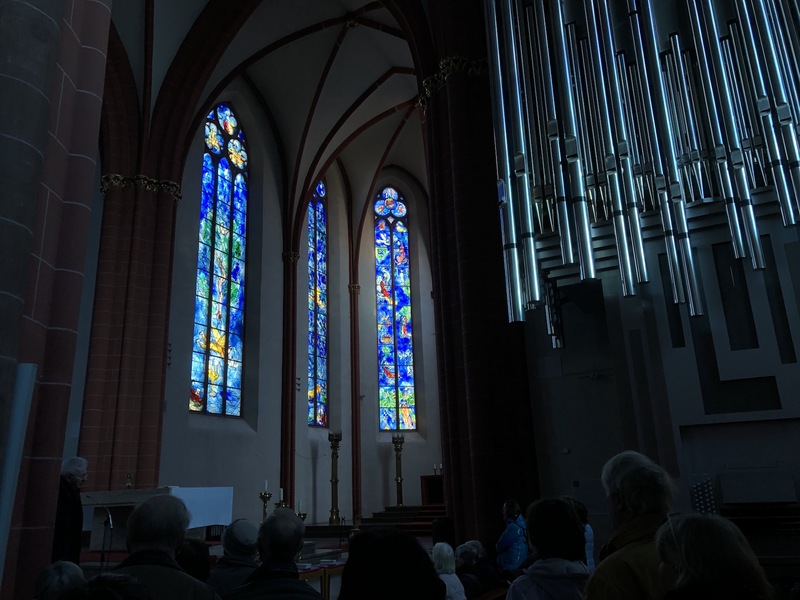 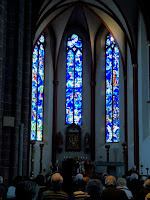 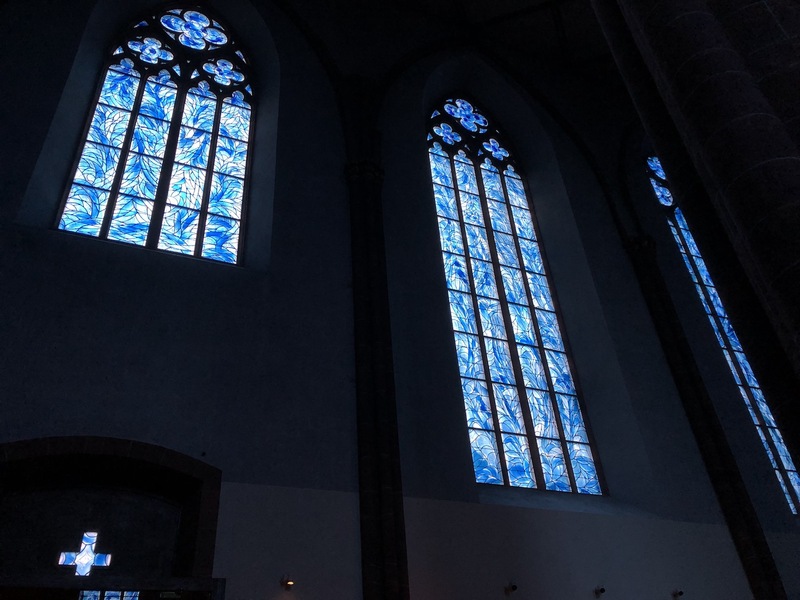 I also took the chance to re-visit St Stephan zu Mainz, a Baroque church heavily damaged during the aerial bombing of the city during World War II but rebuilt in the early 1970 and showcasing stained glass windows designed by artist Marc Chagall in the nave and quires. 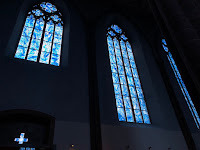 A tour led by a deacon invited us to bask and mediate in the uniquely cobalt light. 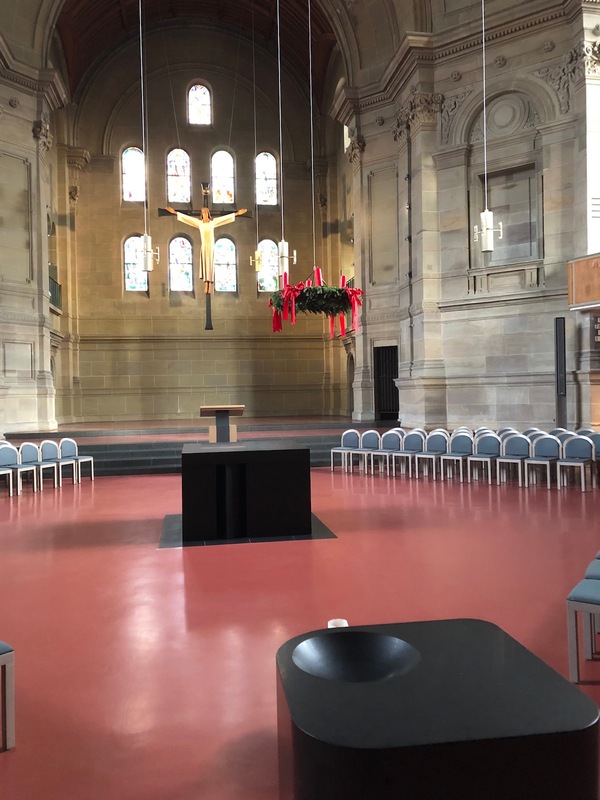 I then visited the monumental Christuskirche, a Renaissance-revival building that was also severely damaged during the war—whose high dome is visible from the other side of the Rhein. 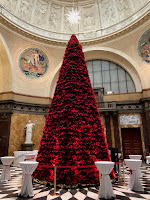 Back in Wiesbaden, I walked through the Christmas market held in the square in front of the Rathaus and around the red brick Marktkirche and later went to see how the Kurhaus had decorated for Christmas and its upcoming balls and fêtes and found this stunning poinsettia tree in the casino’s foyer.